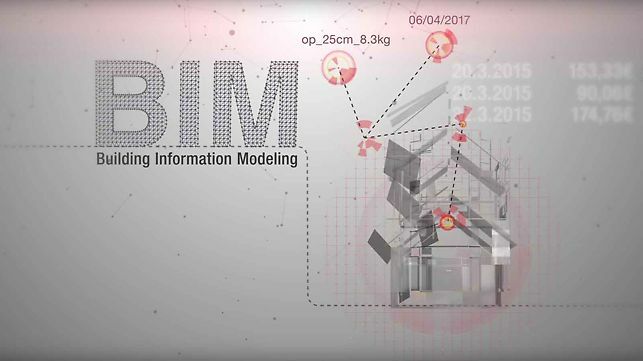 Building Information Modeling (BIM) is a software-based method for the planning and implementation of construction projects, based on a 3D building or structure model. BIM has been tried and tested as a work method in large projects all across the world and offers transparent project handling and a high degree of planning security to building owners as well as everyone involved in the construction process. All construction components included in BIM are described in detail regarding their visual, technical and functional properties. By further integrating the factors of time and costs, the 3D model gradually turns into a 4D or 5D model. People, standards, processes and the technology form the integral parts of BIM. The key factor for success here is the human being: Everyone involved has to support the joint work approach; they have to be able to handle the documentation and communication technology as well as to know the processes and standards. The most important advantage of BIM is that planning and execution variations can be simulated in the 3D building model already at a very early stage of the project. This helps everyone involved in the building project to see where, when, why and at which costs interface problems could occur – during the planning phase for the building as well as during the subsequent execution. 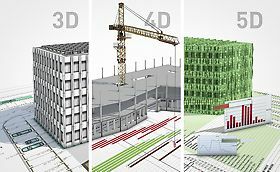 The Lake Constance 5D Conference is hosted by the Hochschule Konstanz University of Applied Sciences (HTWG) and the so-called 5D Initiative, and it deals with 5D processes as well as the further development of existing BIM solutions in the construction industry. Studies have shown that expenses and costs caused by the utilization of BIM are shifted to early service phases. Cost increases become less likely due to better planning. The higher costs at the beginning of a project are caused by the introduction of BIM. However, this is not mainly triggered by the purchase of the technology but rather by the development of concepts for the processes and structures as well as the definition of standards which are required for BIM integration. So this means that BIM cannot be simply bought. Construction companies have to develop BIM project by project and have to refine and attune the method with increasing know-how. Partners such as PERI that are experienced in BIM are very valuable and reduce the amount of expenses and costs during the implementation phase. It is common practice at PERI to combine three-dimensional planning models for the utilization and cycle planning with the time factor. This is the reason why PERI has already been dealing with BIM applications for formwork and scaffolding systems for quite some time. The objective of current PERI software developments is complete integration of formwork and scaffolding solutions in future BIM projects. So more and more process data is integrated in according data base systems. PERI’s CENTRIO project management system enables staff members even today to jointly work on projects all across the world because everybody has access to the same current data base. A further step towards cross-company communication is the use of mobile software for building information administration in the planning and execution phases. PERI has already presented current examples of BIM projects at numerous trade fairs. They use a communication and data management system with two applications: “Autodesk BIM 360 Glue“ and “Autodesk BIM 360 Field“. 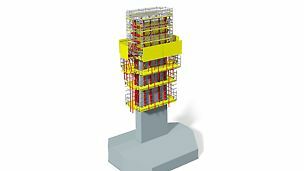 PERI’s own systems are integrated in Autodesk BIM 360 Glue via interfaces. This means that everyone involved in the planning and construction process has access to the same types of information via easily-to-handle user interfaces. Drawings, documents and models from CENTRIO and from the PERI CAD 3D drawing program can be called up this way, too. Additional information, for example on the material at site, is provided by the myPERI customer portal. New requirements and solutions are communicated quickly and directly via Autodesk BIM 360 Glue, the coordination software for planning. Everyone involved, from the project office to the building suppliers, always receives the latest status of project information. This helps to discover and analyze collisions or capacity issues already at an early stage. Information from the planning phase is made available for the everyday work at the jobsite through the Autodesk BIM 360 Field coordination software. It offers the possibility to transmit and document tasks, issues, checklists, instructions, photos and reports for the communication between the jobsite and the office. This means that the site manager can perform routine checks with the help of checklists, can document open items with his tablet device and forward this as an issue to the foreman. The latter will receive the message directly from Autodesk BIM 360 Field and can react immediately. Should he need special information on the building for his work, or technical documents such as the instructions for assembly and use for formwork material that is being used, he can also call up this type of information. After the troubleshooting, he can finish the issues with photos and comments. The site manager will be automatically informed about this and can check the work. Pre-assembled formwork units are provided with a QR code in order to optimize the delivery process. This makes it possible to register and check the material at the jobsite with the same software directly when it arrives. Additionally, operation schedules can be called up, for example, and positions for the first use can be visualized using the building model.